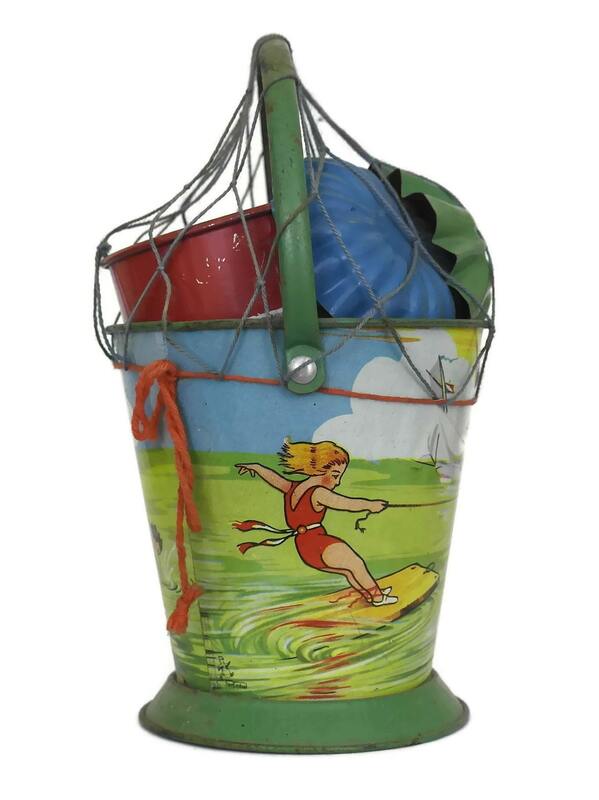 A rare set of vintage beach toys dating to the 1950 s and manufactured in France. 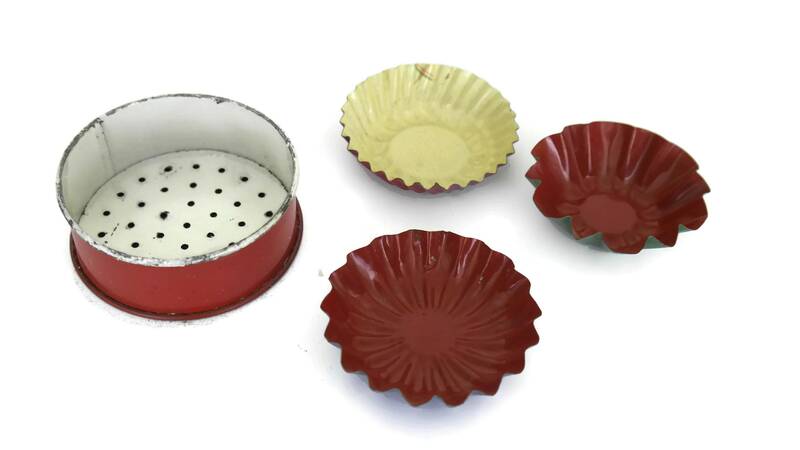 The set in includes a beach pail, 3 sand molds and a sieve. 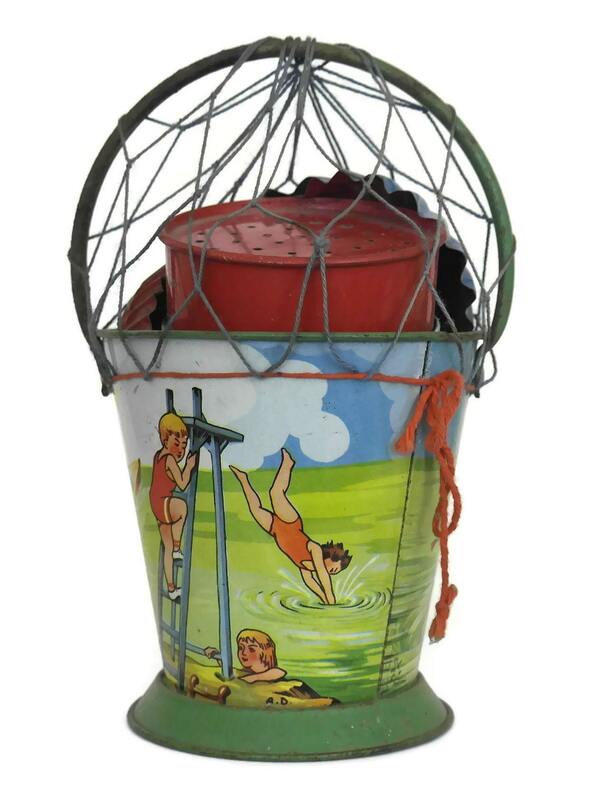 All of the pieces have been manufactured from tin and the bucket has been decorated with charming lithograph images of playing kids and boats. 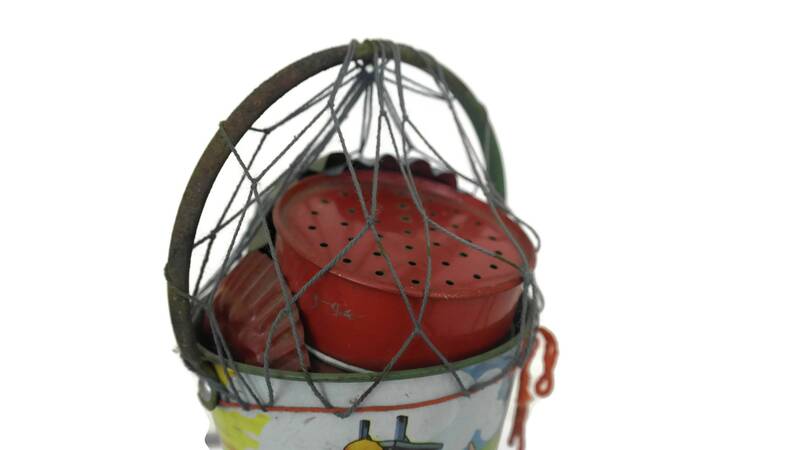 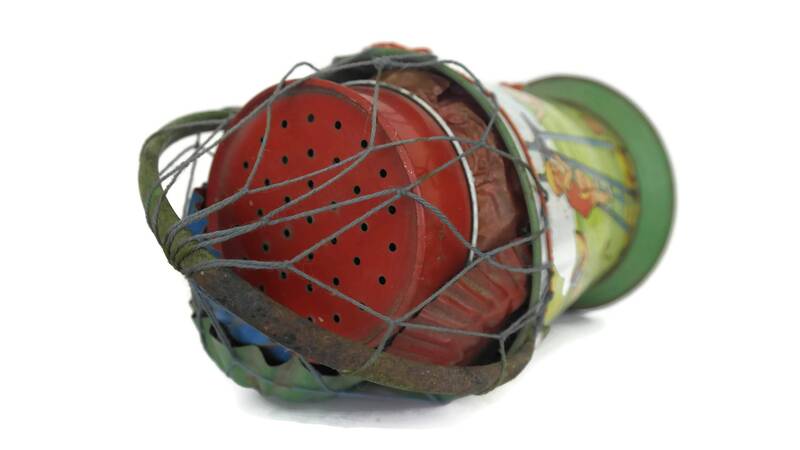 The set has never been played with and still has the original net covering, packing straw and paper inside the bucket. 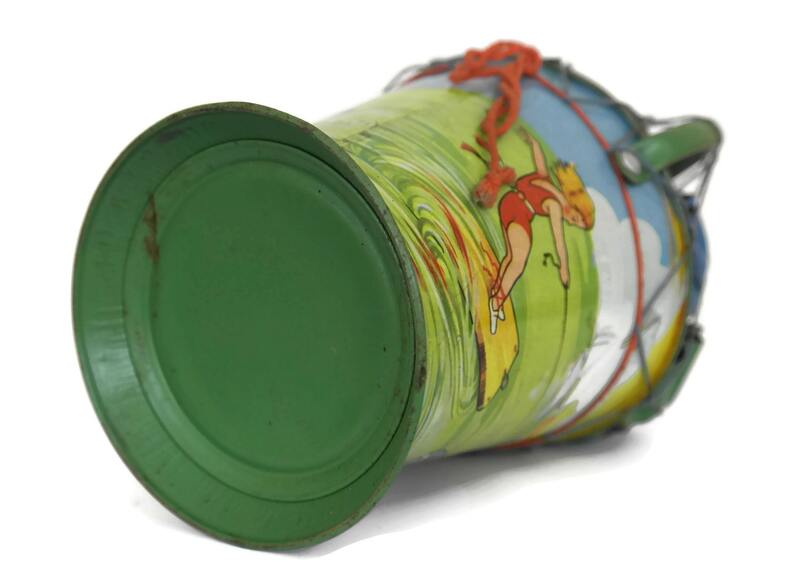 The base of the bucket has been stamped with the maker's mark FerEmbal. 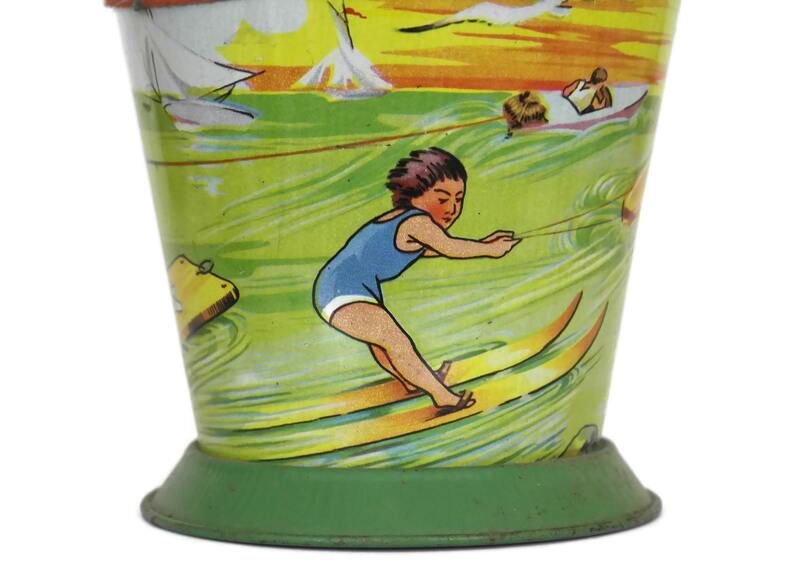 (13 cm x 10 cm). 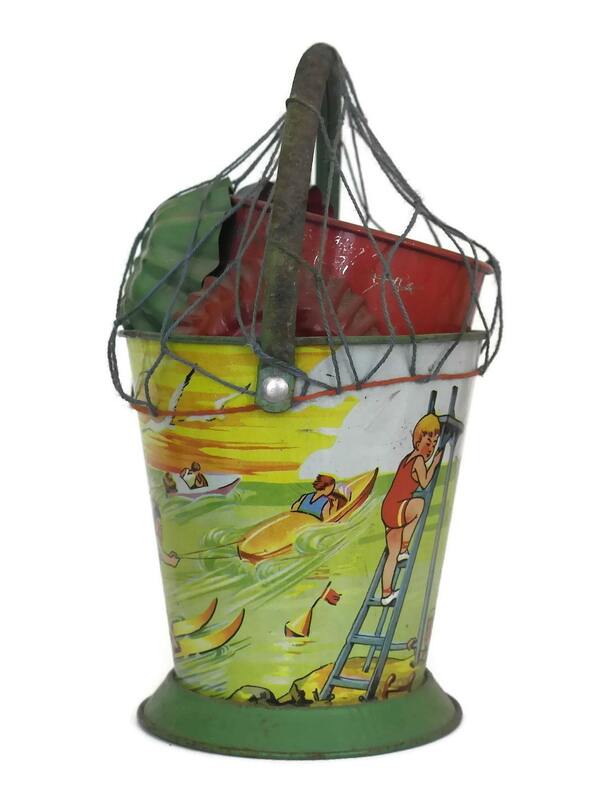 The beach play set is in good condition with signs of age including patina, marks and scratches to the metal. 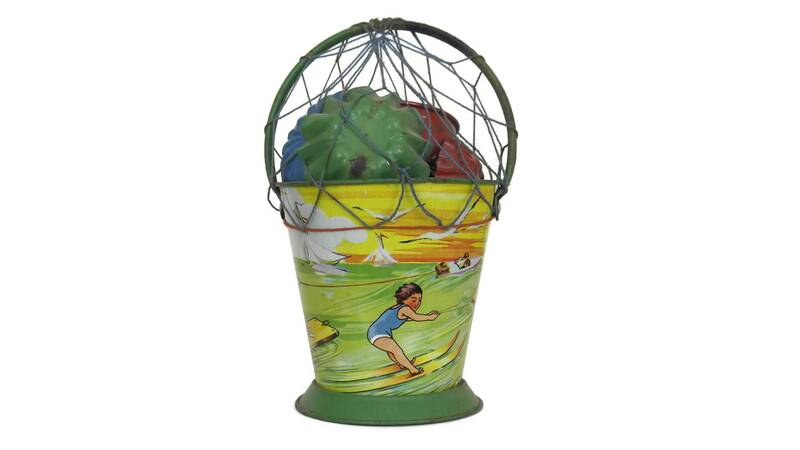 Item ref: French Antique Tin Toy Beach Bucket and Sand Castle Mold Set. 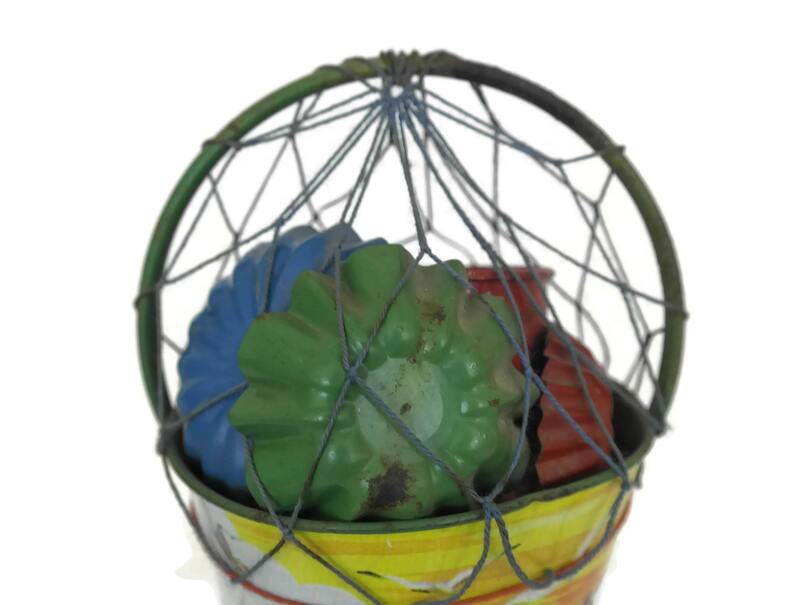 Sand Box Toys.